Travel Exploration Morocco offers a wide range of tour packages to Morocco’s Imperial Cities, the Sahara Desert and Seaside regions. As a Morocco Travel Specialist, Travel Exploration’s Director Alecia J. Cohen customizes private and group tours with a unique and authentic flavor that guarantees you will discover the best of Morocco’s culture, people, landscapes and cuisine. Travel Exploration offers one-day historical tours within Morocco’s Imperial Cities, three, four and five day Sahara Desert region 4×4 excursions, boutique art and jewelry tours and cultural tours that range from 7-21 days. Each each visitor that chooses to travel with Travel Exploration Morocco shall return home with a truly memorable experience. Morocco’s Imperial City Tour includes visiting the Imperial Cities of Casablanca, Rabat, Marrakesh, Fes, Meknes along with the Roman ruins of Volubilis and the option of an add on Morocco trip to the Sahara Desert region of Merzouga, M’hmid or Zagora. Licensed Historical Guides who are Imperial City experts are included along with other amenities. The magical Sahara Desert Tour is a mystical and adventurous trip into Southern Morocco’s Kasbahs, Desert Dunes and Berber villages in a 4×4. This desert adventure offers a once in a lifetime Morocco experience and it is all inclusive of historical guides, meals and stays at unique Riads and Desert camps. The Merzouga Sahara Desert tour is a 3 Day Sahara Tour or 4 Day Sahara Tour option in 4×4 Land cruiser. The Merzouga Sahara Desert excursion can start in Marrakech, Fes or Ouarzazate and end in the city of our guests choice. The Erg Chegaga Sahara Desert tour is a 3 Day Sahara Tour or 4 Day Sahara Tour option in 4×4 Land cruiser. The Erg Chegaga Sahara Desert excursion can start in Marrakech, Fes or Ouarzazate and end in the city of our guests choice. The M’hamid Sahara Desert tour is a 3 Day Sahara Tour or 4 Day Sahara Tour option in 4×4 Land cruiser. The M’hamid Sahara Desert excursion can start in Marrakech, Fes or Ouarzazate and end in the city of our guests choice. The Zagora Sahara Desert tour is a 3 Day Sahara Tour or 4 Day Sahara Tour option in 4×4 Land cruiser. The Zaogra Sahara Desert excursion can start in Marrakech, Fes or Ouarzazate and end in the city of our guests choice. 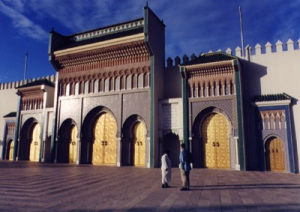 Travel Morocco’s Pottery & Zellij Circuit Through Casablanca, Fes, Marrakech and Zagora. Travel to Morocco and where you will discover and learn how to cook make Moroccan traditional pottery and zellij with some of the masters. Enjoy pottery and zellij workshops, 4 excursions, typical daily Moroccan breakfasts and submerge yourself in the colourful art of pottery and zellij design. A Taste of Morocco from Fes to Marrakech. Travel to Morocco and experience a week-long stay in Fes and Marrakech where you will discover and learn how to cook Moroccan traditional cuisine with some of the best chefs. Enjoy Moroccan cooking classes, two excursions, typical daily Moroccan breakfasts and submerge yourself in the colourful, welcoming Moroccan culture. Travel to Morocco and visit the Cascades D’Ouzoud Waterfalls, the region of Kenifra’s Waterfalls of O’Marabia, the Todra Gorge and Ouarzazate’s ancient Kasbahs along with the ruins of the Imperial city of Meknes. Travel Exploration Morocco’s one-day tours offer guests the opportunity to visit the Sites, Monuments, Souks and Gardens in Morocco’s Imperial Cities and in regions of natural Wonders. All one-day tours include an English speaking, multilingual driver and historical guide with fluency in English, French Arabic and for Southern Morocco, fluency in Berber.